For a long while now when praise is bestowed on North Carolina's Research Triangle, Raleigh is usually mentioned last, after Durham and Chapel Hill, whose universities, Duke and U. of North Carolina, grab most of the attention for their academic and high-tech clout. 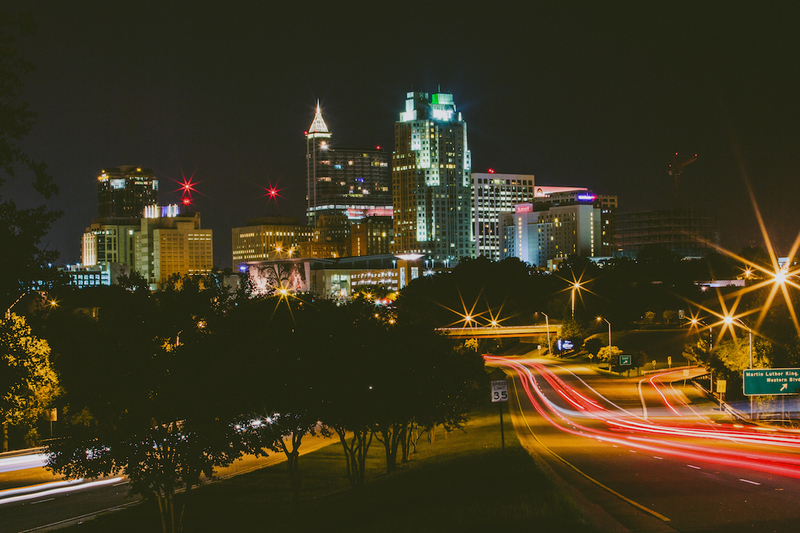 But in many ways the once sleepy city of Raleigh now has a lot more to offer than those other municipalities, and, during a recent trip there, I found that the city is on a sure rise to long-delayed eminence. Raleigh most certainly has its own colleges and universities--ten of them, including North Carolina State and Shaw, the first black university in the South--and its population of 440,000 is nearly double that of Durham and seven times that of Chapel Hill. Forbes magazine ranks Raleigh among six fastest-growing cities in the country. By the end of the 18th century Raleigh was a planned city drawn in a grid pattern, and the city suffered little damage in the Civil War, so neighborhoods retain their architectural integrity, like Oak View County Park, which reflects the city's homestead history; Oakwood, with its graceful Victorian homes; the beautifully landscaped State Capitol area; the picnic-perfect Moore Square; and Mordecai Historic Park, which encloses the city's oldest (1785) residence. Fayetteville Street, now on the National Registry of Historic Places, has the city's first modern skyscrapers and leads from the Capitol to the Duke Energy Center for the Performing Arts. 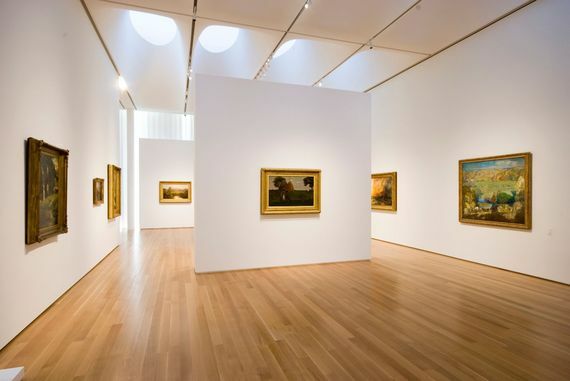 The dreamers and city planners have been fully supportive of the arts as a principal tourist draw--admirably making all the museums in Raleigh free to everyone--which begins with the impressively mounted North Carolina Museum of History (above), rich in folklore, Civil War exhibits, displays of sports memorabilia, African-American history, and, through July, an exhibit devoted to Evangelist Billy Graham. An abandoned warehouse district can be a boon to a city in expansion mode, and Raleigh's is six blocks square, anchored by the Contemporary Arts Museum, which truly is about contemporary artists, not modern masters. The district is full of stores and galleries that pump vitality into the entire region and bring light and night venues to the streets. The huge 30,000-square-foot Sanders Ford building (once a Ford car dealership) has been turned into the remarkable Artspace with studios for 30 resident and guest artists and three exhibition halls. Artspace and other municipal projects downtown rescued the once derelict City Market from total blight. Unlike Atlanta, Birmingham, Montgomery and some other Southern towns, Raleigh is a true walking city, with several neighborhoods falling under what's called the Design District, now teeming with new storefront boutiques, antique stores, fabric shops, art galleries, lighting stores, cafés and jewelers along Peace Street and Capital Boulevard, Glenwood Avenue and Cameron Village, all of which bring the focus back downtown from the suburban sprawl caused by the I-440 ring around the city in the 1980s. 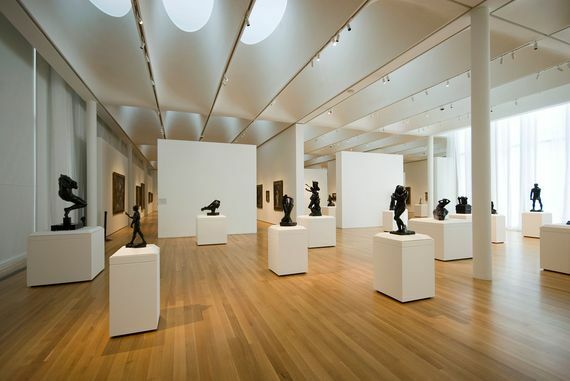 Just outside of downtown is Raleigh's most impressive cultural institution, the North Carolina Museum of Art, set on 164 acres of woodlands, with extensive collections of American, African, Egyptian, Greek and Roman art, and an entire room devoted to the sculptures of Rodin (above). When I visited it was showing Leonardo Davinci's extraordinary handwritten Codex Leicester, which Bill Gates had bought in 1994 for $30.8 million and has since exhibited around the world. The city also has its own widely heralded Carolina Ballet Company and is home to the North Carolina Symphony and North Carolina Opera. As throughout the South, college football is of titanic importance, as manifested by the 57,583-seat Carter-Finley Stadium built for the NC State Wolfpack. Raleigh lacks pro football, basketball and major league baseball teams, but the Carolina Hurricanes NHL hockey team carries on, these days often near the bottom of the league standings after winning the Stanley Cup a decade ago. If you had two or three days in Raleigh to visit, you could get a very good read on the character of the city by having breakfast at Big Ed's City Market Restaurant (above), on Wolfe Street since 1989 and part of the downtown revival. The Big Ed in question is Ed Watkins, a local fellow whose menu--the place is only open for breakfast and lunch--is a repository of Southern and American cookery perfected over decades and improved by the increasing availability of great ingredients from the Market. I'll say more about the food at Big Ed's in an upcoming article on Raleigh's food scene, but just to sit in the big room, whose every square inch, especially the ceiling, is festooned with maps and flags, toys and antiques, is to watch all of Raleigh's strata of society mingle, gossip, maybe with a little more twang in their voices, and eat way too much. It's all part of the city's magnanimous spirit, and in those lilting North Carolina voices you'll hear the ring of great expectations.